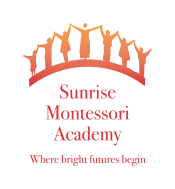 It is a real blessing to have my daughter go to Sunrise Montessori Academy. My daughter made herself at home from the very first day (September 2008). I thank God that we ended up here. I cannot believe all the things she has accomplished in this time from educational stuff to social functions like interacting with others and to be respectful; how to care for her environment, how to be a self starter, and a wide range of practical life skills that are helping her develop independence and self-confidence. Sunrise Montessori Academy is more of a family to me than a school. They provide a safe and respectful environment as well as a great learning experience. If I had to do it again I would choose Sunrise Montessori Academy over and over again!!! !